This is the official website for The Kingdom Descended from the Sun and the Moon. 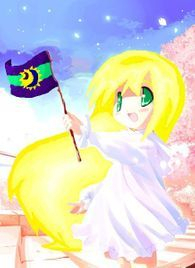 The Kingdom Descended from the Sun and the Moon, also known as the Sun and Moon Kingdom or the Principality of the Sun and Moon Kingdom, is a constitutional monarchy created on November 8, 2012. As of March 31, 2013, the country, or officially, the micro-nation, does not have an official location. We are Anatolic, not to be confused with 'Anatolian' or those from the Anatolian Penisula. What this means is that we must show pride in our nation. We ask for you to spread the word of our nation and join it as well. Our goal is to be recognized by other nations, as that is goal for other micronations. Thank you. 4) the capacity to enter into relations with the other states. We are not able to accept donations for the reason that the queen is not legally old enough in America accept it over the internet. However, you can still support by spreading the word. 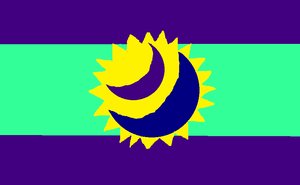 *Update* The Sun and Moon Kingdom on its first National Day will officially change its name to the Constitutional Monarchy of the Anatolic Kingdom or, in short, Anatolic Kingdom or Anatolae.